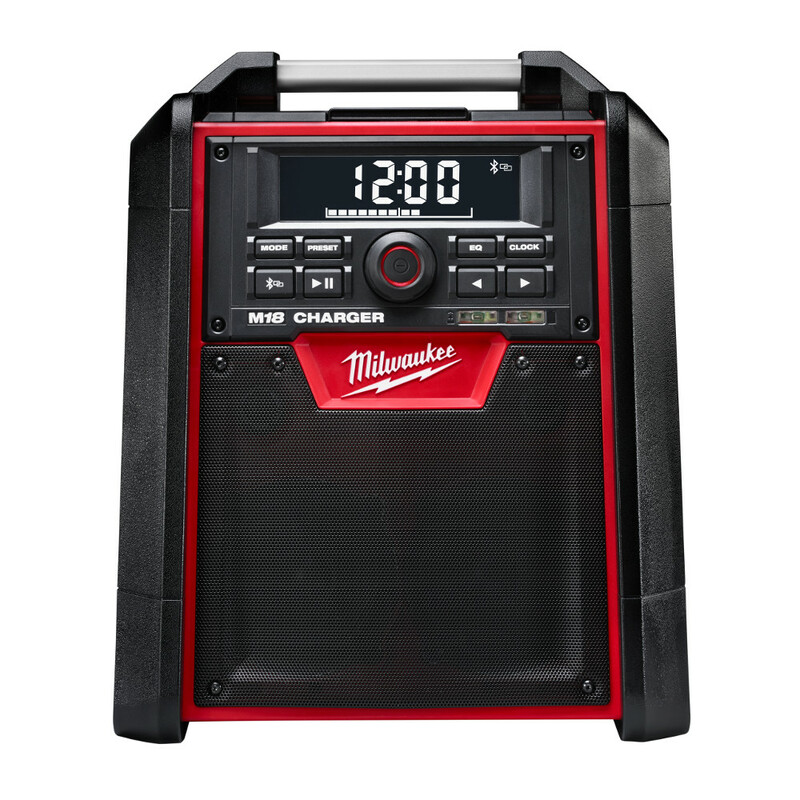 The Milwaukee M18 Jobsite Radio/Charger is the first charging radio to bring the power of Bluetooth to the jobsite, while delivering the industry's best reception and sound. The most advanced radio of its kind, the M18 Jobsite Radio/Charger features a Bluetooth receiver so you can stream rich, full sound wirelessly from over 100 feet away. Its unique battery charger allows you to charge any M18 battery without sacrificing reception or sound quality. For added versatility, a high-power USB port allows you to charge most portable electronic devices over 50% faster than any competitor. The M18 Radio/Charger's lightweight, high-strength design includes a reinforced roll cage for protection from weather and abusive jobsite conditions. The radio/charger also offers the industry's largest on-board, weather-sealed storage compartment to protect your small belongings and smart phones. A 16" auxiliary input cord and 2 AAA batteries are included.